The QS Rankings are out again. Three Indian B-Schools feature in the top 100-150 list, namely IIM Ahmedabad, IIM Bangalore and DMS, IIT Delhi. 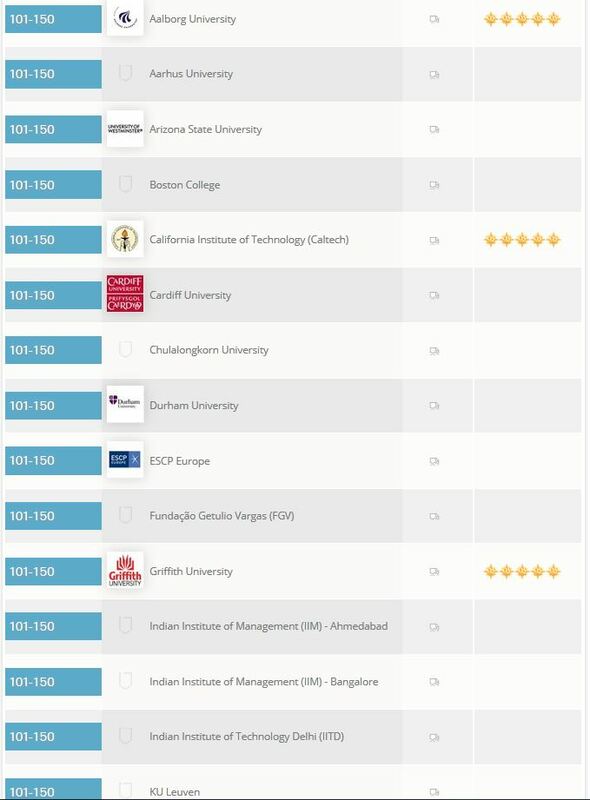 No other Indian B-School feature in the top 500 list created in this segment by the premium university ranking agency.Check out the complete rankings of B-Schools in Business & Management category. The criteria used by the QS Rankings are Research, Teaching, Employability, Internationalization, Facilities, Online Distance Learning, Social Responsibility, Innovation, Art and Culture, Inclusiveness, Specialist (Ratings, Accreditation). Get a glimpse of the rankings of these three players in the snapshot. But how do the rankings work? And are they completely fair? Rankings tend to only take into account the academic side of the college.